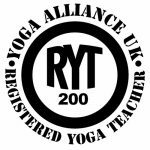 YoBalance is a dedicated Hot Yoga Studio situated in Victoria Mills Shipley. We offer daily classes to suit all ages and levels. At YoBalance, we use the Glofox app to book classes. This provides you with a quick and easy way to book and pay for our sessions from your mobile phone. We were all beginners once, so you don’t need to feel nervous or daunted at the prospect of attending one of our hot yoga classes. Our sessions are a lot of fun, but you’ll also need to work hard to achieve the results that you want. Once you start to see and feel the changes in your body, you’ll absolutely love it – we promise!